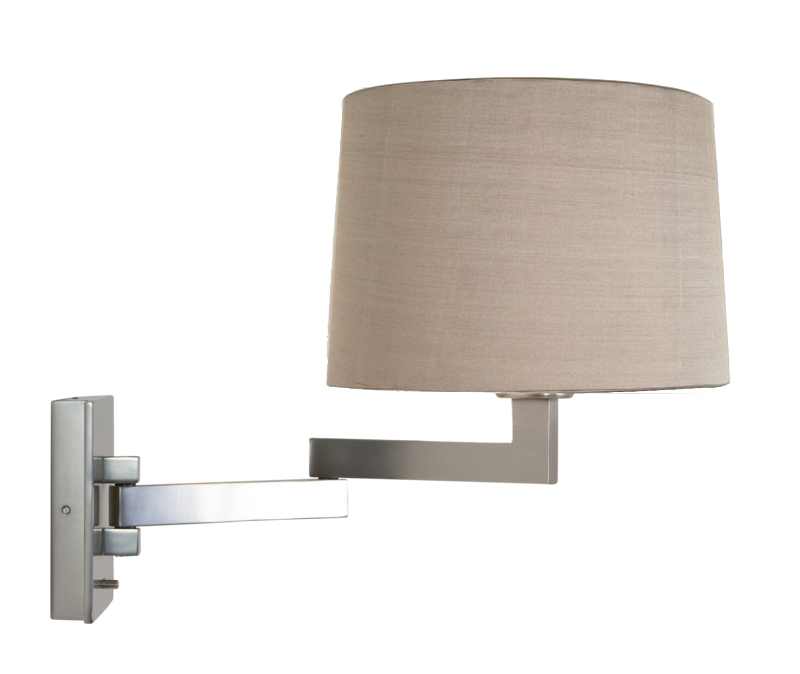 A lovely contemporary style wall lamp that will add a touch of class to any living area. It features a drum lampshade in oyster fabric, supported by a matt nickel double swing arm. The product has a switch and is also dimmable. It would fit with either a classic or more contemporary style and its neutral colour would blend well with a range of decors. The lamp emanates a soft and gentle light, facilitating a relaxed ambience.